Be active. Get creative. Have fun outdoors! 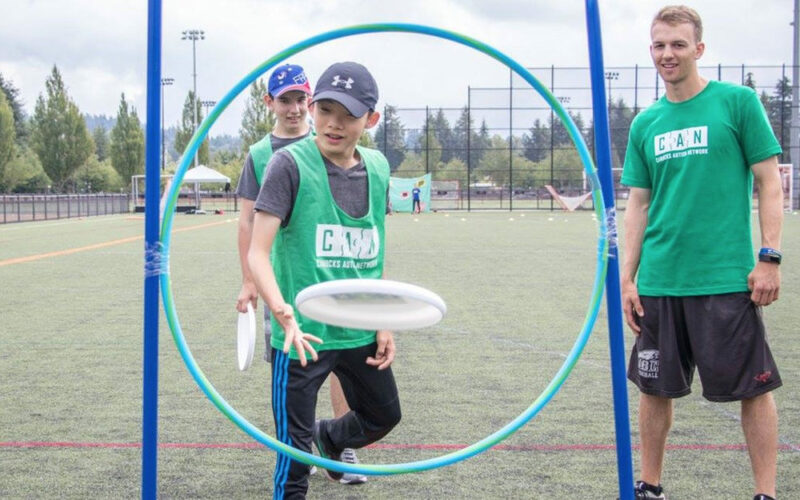 Kelowna Summer Day Camps provides participants with the opportunity to attend themed day camps. Camp themes include bike and sports, arts and crafts, adventure, and science. 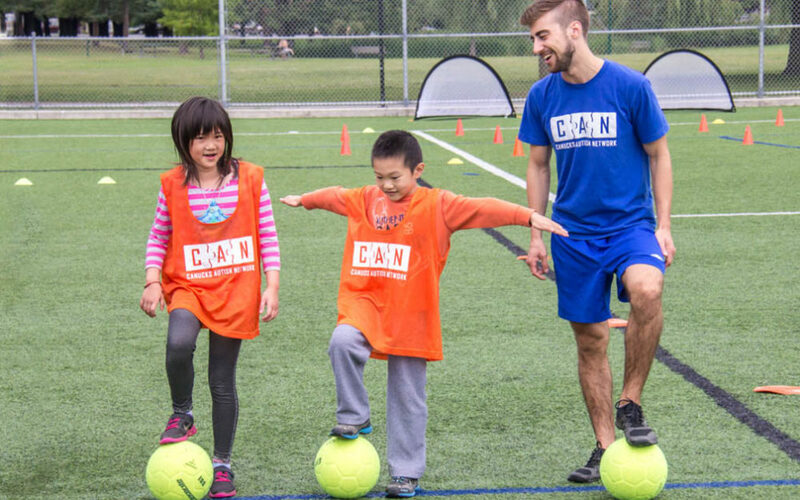 Participants are supported by a high ratio of trained staff and dedicated volunteers to ensure skill development and activity engagement, as well as to encourage participants to get to know each other and build peer relationships. Program fees vary depending on location, program structure, and staffing requirements. Canucks Autism Network does not want this fee to act as a barrier to participation and is willing to collaborate with any family needing financial assistance. The Bike and Multisport Summer Program is a great opportunity for children with autism, and their siblings, to learn how to ride a bike and try a variety of sports activities in a fun, safe and highly-supported environment. Days include a mix of individual practice and group activities to help develop fundamental skills. Afternoons will be filled with community outings such as paddle boarding, swimming, and beach activities. This four-day session has a highly subsidized fee of $40 (see Program Fee Payment Options). Participants confirmed into this program must provide their own bike and bike helmet. Access the Bike & Multisport Activity Storybook and the Travel Activity Storybook (for community outings requiring transit). Activity Storybooks describe activities, situations and expected behaviours, helping to prepare participants for the program by building predictability. The Creative Campers Summer Program is a great opportunity for children with autism, and their siblings, to use their imagination and creative thought process through a variety of activities in a fun, safe and highly-supported environment. Mornings will be filled with tie dying, jewelry making, painting, drama and more. Afternoons will feature community outings, such as paddle boarding, swimming and beach activities. This five-day session has a highly subsidized fee of $50 (see Program Fee Payment Options). Access the Creative Campers Activity Storybook and the Travel Activity Storybook (for community outings requiring transit). Activity Storybooks describe activities, situations and expected behaviours, helping to prepare participants for the program by building predictability. 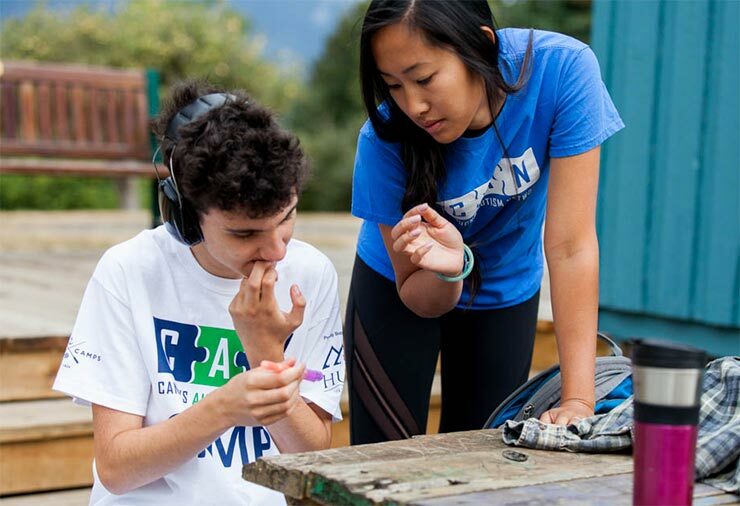 The Adventureland Summer Program is a great opportunity for youth with autism, and their siblings, to explore their adventurous side by trying a variety of activities in a fun, safe and highly-supported environment. Mornings will include a mix of activities, such as geocaching, exploration activities and adventure races. Afternoons will be filled with community outings, such as paddle boarding, swimming and beach activities. Access the Adventureland Activity Storybook and the Travel Activity Storybook (for community outings requiring transit). Activity Storybooks describe activities, situations and expected behaviours, helping to prepare participants for the program by building predictability. The Inventor’s Workshop Summer Program is a great opportunity for youth with autism, and their siblings, to use their designing and engineering skills through various science and building activities within a fun, safe and highly-supported environment. Mornings will include a mix of activities, such as lego robotics, science experiments, and building activities. Afternoons will be filled with community outings such as paddle boarding, swimming and beach activities. Access the Inventor’s Workshops Activity Storybook and the Travel Activity Storybook (for community outings requiring transit). Activity Storybooks describe activities, situations and expected behaviours, helping to prepare participants for the program by building predictability. At Canucks Autism Network, we strive to meet the needs of each participant through parent and participant collaboration. Our staff receive training on a variety of support strategies for individuals with autism. Please do not hesitate to speak with our staff on-site about strategies that should be implemented (e.g., visual schedules, first-then boards, token systems, social stories, etc). You can also access our Activity Storybooks (see above under the description for each camp) to help prepare your child for the program. Activity Storybooks describe activities or situations as well as the expected behaviours in a given context using words and often pictures. Participants can read Activity Storybooks prior to engaging in an activity to help prepare them and build predictability. This program only runs in the summer. Please check back in May 2019 for summer program details. Subscribe to programs & membership newsletter to stay-up-to date on program and registration dates.